Soft shell tacos can be a timely meal to put together, especially if you start everything from scratch. Not so timely once you make this beef and beans base, in advance that you can freeze into portions and use various ways! This 4-ingredient beef chili is SO versatile! I cannot rave enough over this staple because it can be used in SO MANY different ways and it’s EASY! Make a batch in advance and use it in taco salads, beef tacos, a bowl of hot chili or over the perfect rice! 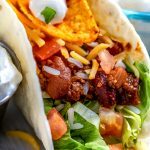 What toppings can I use for soft shell tacos? 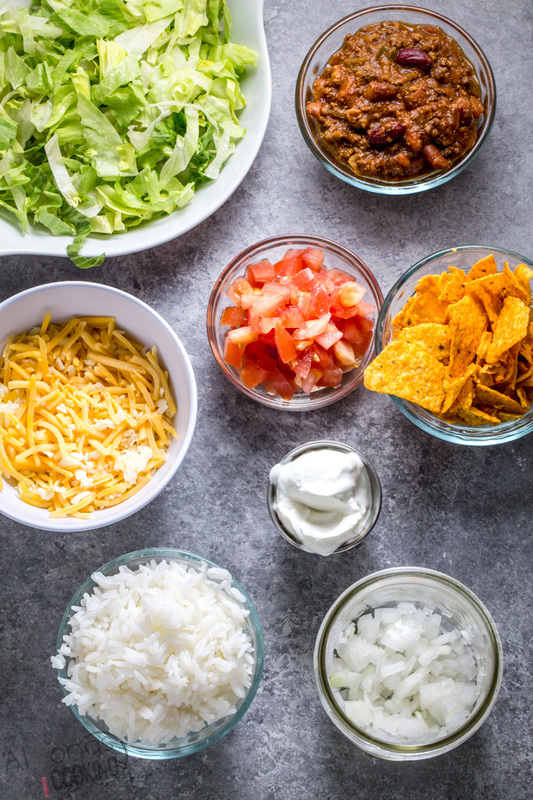 There are so many toppings to choose from when it comes to dressing tacos but the most common are onions, tomatoes, lettuce, and grated cheese. Use salsa, pico de gallo, guacamole and sour cream as freshly served sides since they can sog up any taco quickly. What is the difference between beef tacos and beef chili tacos? 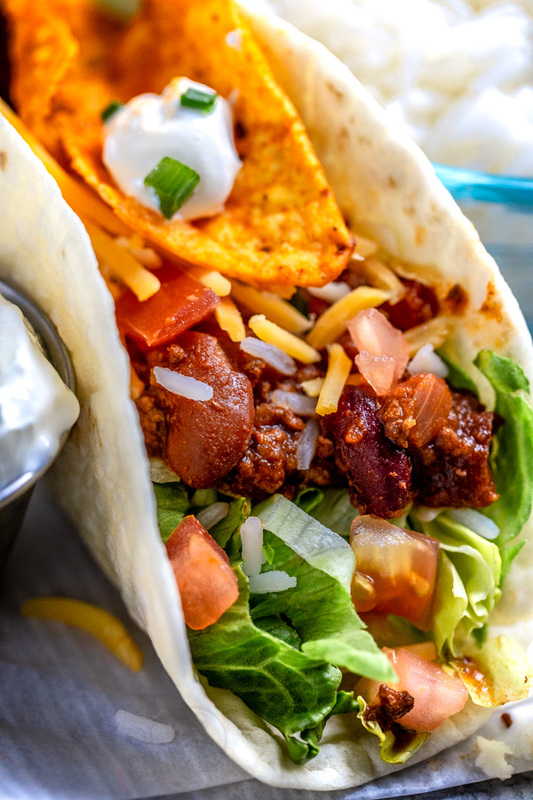 Beef tacos are commonly made with seasoned ground beef (typically a seasoned packet) and then filled into tacos with toppings of your choice. However, the beef for beef chili tacos can vary in spices and may contain beans. This 4-ingredient beef chili is so versatile as it’s not overpowering in either direction which is why it’s so flexible to work in different recipes! Step 1-Warmup soft shell tacos. Step 2-Fill each taco with 2 TBSP of the beef chili. Top with cheese and desired toppings. Step 3- Serve with sour cream or salsa. 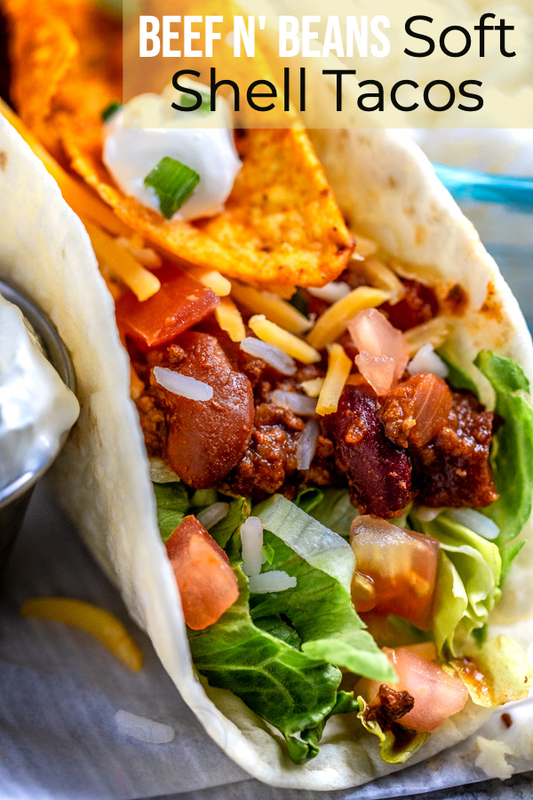 Fill each taco with 2 TBSP of the beef chili. Top with cheese and desired toppings. Serve with sour cream or salsa.